damon salvatore. Behind the scenes. Wallpaper and background images in the damon salvatore club tagged: damon salvatore the vampire diaries season 2 awesome vampire. 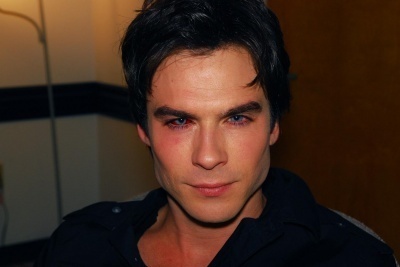 This damon salvatore photo might contain potret, headshot, and closeup. LOL! It looks like someone punched him in the eye... But look at his Hair cut!!! I LOVE IT! <33! He is soo Adorable! Is it weird that i adore his jaw structure?? I hope not, because I do.